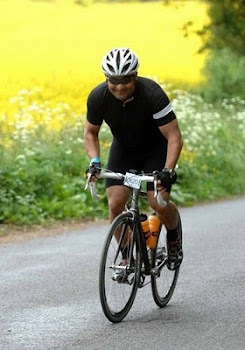 Anyone riding/thinking about riding Action Medical Research's Winchester 100 mile challenge? 15th July, 2012. If you are let me know as my plan is to take to Caen, St. Malo or Le Harve Ferry to Portsmouth the day before, spend the night in the college and then ride :) I'll be driving up to the t'North West afterwards too - if lifts are needed? Sunny Wigan to be specific. Thanks for riding with us in Winchester 100. Its supporters such as you who keep us going! If you were to require any help/support, RT your tweets, etc. just shout.